Liverpool host Chelsea at Anfield this weekend and they will be hoping to continue their push towards the title – a loss would mean Manchester City have to slip up big time at some point between now and the end of the season if the Reds’ chances of stealing the crown are to survive. Meanwhile, the Blues will be hoping to make it a fourth straight league win having emerged victorious over Cardiff, Brighton and West Ham in recent weeks and cement themselves further in the top four. Maurizio Sarri’s side will fancy themselves to cause their hosts problems on Sunday having beaten the Reds in the cup and drawn in the league in 2018, although Liverpool are in a different gear now at crunch time. Chelsea have been rejuvenated by the eventual inclusions of Ruben Loftus-Cheek and Callum Hudson-Odoi, while Liverpool’s Naby Keita finally got his first goal in red against Southampton last time out. Where are the key battles which will win or lose this game for the two sides? George D: “The obvious one is whoever gets the task of stopping Eden Hazard. He’s their best player, he loves the big games and he has a good record against us – keeping him quiet goes a long way to getting a result against them. George B: “With Chelsea, it always comes down to the midfield. 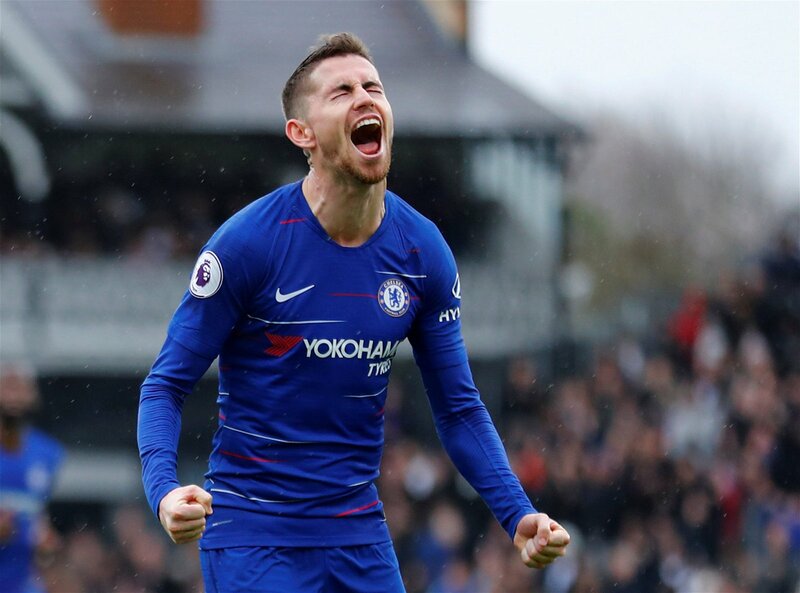 If Jorginho is crowded out, the Blues simply can’t function. It’s happened too many times this season, perhaps most notably against Liverpool’s rivals Everton, and you’d expect Jurgen Klopp to employ a similar tactic. It’s common knowledge now that if you neutralise Jorginho, you effectively neutralise Chelsea, so elements of Liverpool’s game-plan should and likely will be focused on doing that, while also exploiting the former Napoli man’s lack of defensive ability. The argument that Kante should be playing a lot deeper is one Chelsea fans are familiar with and may resurrect this weekend if it becomes painfully obvious to everyone but Sarri that Jorginho requires some help in the midfield, with Liverpool’s rampant runners likely to cause him all kinds of problems. Do you think there’s an argument for Henderson to play as a number 8 for Liverpool after his performance versus Southampton? George B: “Henderson has been a bit of a misunderstood player, I think. Over the years, he’s not had the respect that he deserves, but as Klopp has given him more freedom in recent his weeks, his footballing personality has started to come out. George D: “Absolutely. I’ve banged this drum several times before in these pieces and it’s something I want to see more of. 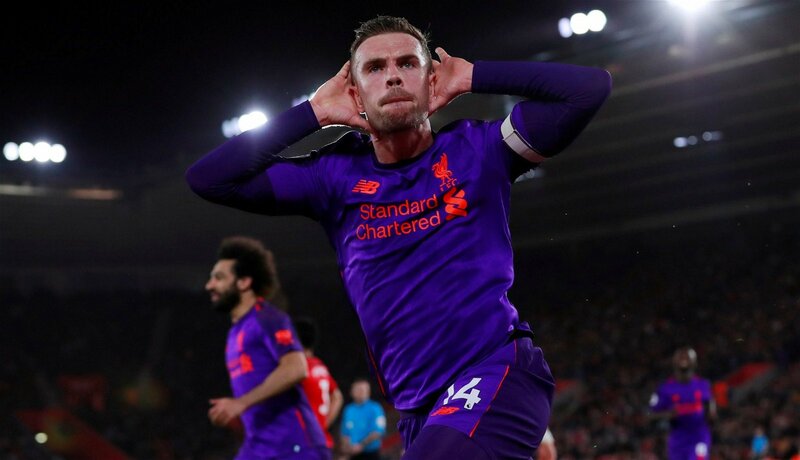 Former Sunderland man Henderson came on for Wijnaldum on the hour mark versus Saints and showed a fresh pair of legs to sprint from the edge of his own box to Southampton’s before firing home Roberto Firmino’s cutback. Given that run in particular and the captain’s incredible engine, it is somewhat a surprise that he doesn’t feature further afield more often – his competition at the base of midfield is Fabinho, after all, and the Brazilian has been nothing short of excellent. James Milner isn’t getting any younger and Klopp is going to have to figure out a way to replace the number 7’s work-rate in the middle somehow, so perhaps restoring Henderson to his former glory as a number 8 is the way forward. Sarri has said that he thinks Mateo Kovacic could be moulded into a Jorginho-type defensive midfielder. Do you think he would be better there? George D: “That’s a hard one to see to be honest. Sarri’s idea of a holding player is a lot different to many I feel so perhaps in his mind Kovacic has the passing ability to become like Jorginho. George B: “Kovacic is a strange player. He’s proven this season that he’s able to play in each of Chelsea’s central midfield positions – something that nobody else at Stamford Bridge can do – but in every single one of them he’s been distinctively average. The Chelsea boss expressed his desire to keep the Real Madrid loanee at Stamford Bridge beyond the summer, transfer ban appeal permitting, despite, as George B says, the midfielder having been ‘distinctly average’. The aforementioned Loftus-Cheek’s excellent form of late has surely ensured that the Croatian slips down to third in the pecking order for Sarri’s coveted third midfield spot, so perhaps a change of role is required if the number 17 is to be a success in west London. If Virgil van Dijk was still at Southampton, who do you think would be Liverpool’s player of the year? George B: “I think Sadio Mane has been fantastic this season. He’s always been a great player, but with Mo Salah’s well-documented struggles, the winger has really stepped up to the plate. George D: “That’s hard to say. I think Alisson has come up with some big saves whilst both Salah and Mane have scored the goals needed to challenge for the title. Former Saints man van Dijk looks set to take home the award for Liverpool’s Player of the Year and perhaps the PFA version of the gong that takes into account every player in the league, such is the impact he’s made to the team this campaign. Prior to the big Dutchman’s arrival, Liverpool’s star-studded attack was the only thing making them a competitive force but the additions of van Dijk and Alisson, too, have made the world of difference. Plenty of Reds players have been outstanding this season and it’s difficult to pick a clear second to the gigantic number 4, as proved by our experts, although Mane’s clutch strikes surely mean that he takes the runner up prize. Finally, what are your score predictions?